Do you LOVE cookie exchanges? One of my favorite things about the holidays is baking and cookie exchanges! So much fun! 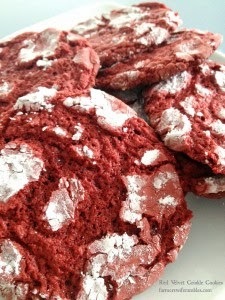 How about these Red Velvet Crinkle Cookies from over at A Farmer's Wife Rambles? They would be so unique for a cookie exchange!